Making Charms | Who Are You Calling Crafty? 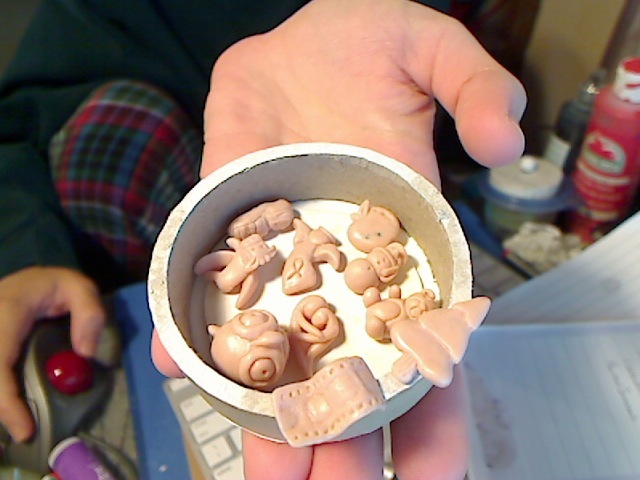 I am making charms I am pretty happy with how they turning out. They are tiny have a ton of detail and I have too many ideas to keep up with. I am torn if I should cast them in PMC or just do resin. I am thinking of doing a logo and coming up with a name for them. 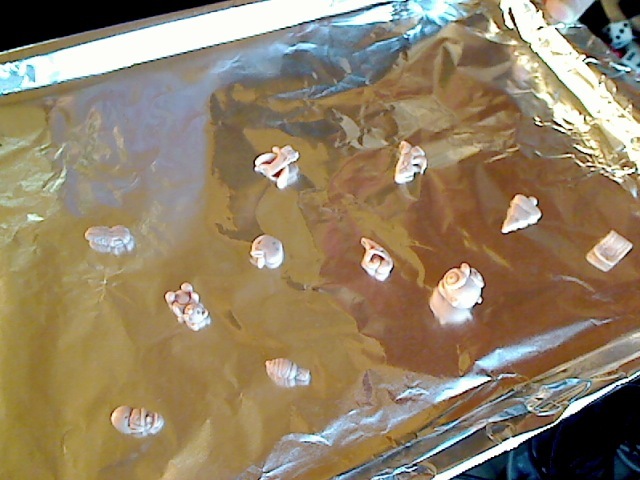 The FIMO® Charms waiting to be cooked. I am also working on some other projects trying to get stuff ready for the holidays. I can’t believe it is November – I have very few projects completed or even ideas for gifts. It should be a world wind couple of weeks. Good thing my Christmas cards are almost done, so they might get mailed this year.